Solar power is as ancient as the world we live in so under the sun nothing new. However, converting the sunlight into more useful energy forms is constant research and development subject from the first man to today. Solimpeks Enerji understands and knows very well R&D importance to convert the solar power into heat and electricity power efficiently and low cost especially during climate change era. It was funded by The Scientific and Technological Research Council of Turkey (TUBITAK). Project goal was to combine PV and thermal collector into new hybrid collector. The project was executed successfully. The end of the project new product called Photovoltaic and Thermal Hybrid Collector (PV/T) designed, tested and manufactured for commercial use. The patent application of the PVT has been done and still in process. During the project we have collaborated with Selcuk University Science Faculty members. PIPESTORE: A modular phase change material thermal store that enables optimal performance of renewable energy systems. 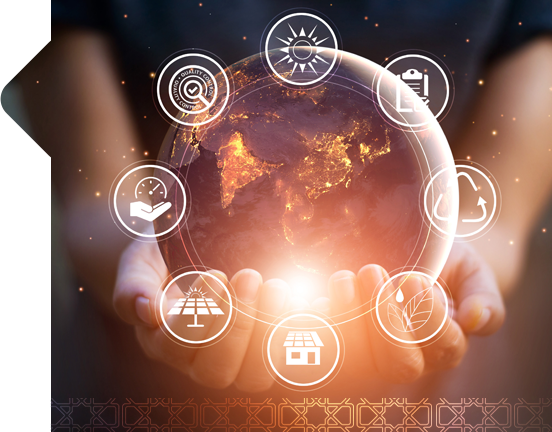 Over the last decade rising energy prices, concerns about global warming and EU energy security have led to increasing interest in domestic scale Renewable Energy Systems (RES) such as solar thermal, heat pumps and biomass technologies. However despite these growth rates, the proportion of RES used for domestic heating and hot water is still under one percent. The main barrier is the high equipment and installation cost of the technology. In addition solar thermal yields cannot always be optimally utilised in existing hot water and heating systems. This is due to the limited size and operating temperature range of conventional thermal energy stores. Increasing the contribution of RES will also necessitate larger thermal stores, which is often difficult due to space and cost constraints. EAGLE: Development and demonstration of a dynamic, web-based, renewable energy rating platform.In order for the European Commission to achieve ambitious renewable energy targets there is a strong need to accelerate market penetration of Renewable Energy Systems (RES) in both industrial and domestic sectors. The domestic sector is of major significance, as it will reduce reliance on large centralized energy plants. There are several domestic options including solar thermal, solar electric, heat pump and biomass systems. Of these, solar and heat pump technologies have the widest potential application as they require no physical feedstock. However, despite steady market growth, these technologies still make up only a small fraction of total household energy supply. One of the main reasons for this is the initial investment required, coupled with uncertainty over return on investment. This is compounded by the huge range of available products and a lack of objective information relating to system performance. As a result, consumers are often confused and unable to make informed decisions. In addition, installation companies often experience difficulties when advising customers on the various options and their respective benefits. Hence, despite considerable technological advancements in terms of system performance and efficiency, there exists a significant knowledge and confidence barrier that restricts increased market acceptance.In order to address this problem, we propose to develop a system that can automatically provide accurate and objective information about the suitability of a renewable energy technology for a given user scenario. The system will be intuitive and easy to use employing a unique dynamic grading technology. This will enable consumers to make better informed decisions and will allow our membership to provide better service. Solimpeks Enerji and Local Turkish Investment Office (MEVKA) funded this project. Project goal was to setup new production line to manufacture PV and PV/T products internally. The project was successfully executed. It is ongoing project. The project goal is to improve the production efficiency and make better decision to monitor every step of the production using barcode and QR code system.